From Strouf, Judie LH: Literature Lover’s Book of Lists: Serious Trivia for the Bibliophile; Prentice Hall; 1998. Thomas Wolfe was perhaps the most overtly autobiographical of this nation’s major novelists. 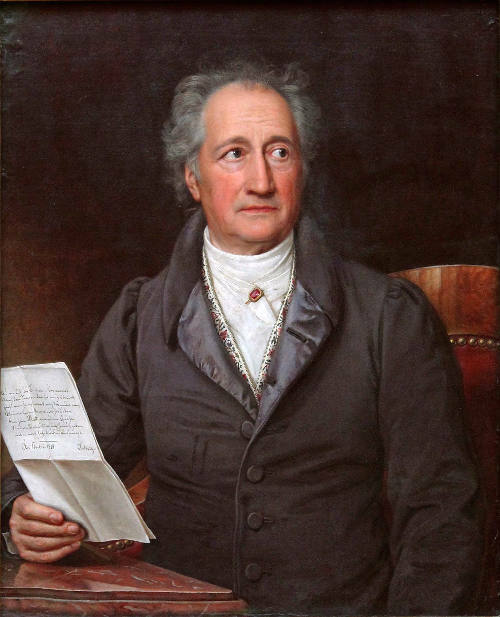 His boyhood in the boardinghouse at 48 Spruce Street colored his work and influenced the rest of his life. 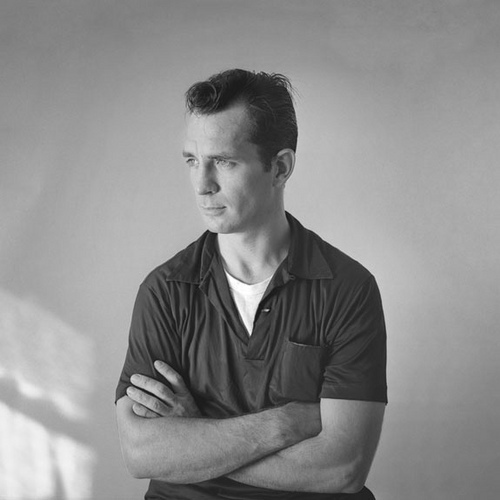 His reminiscences were so frank and realistic that Look Homeward, Angel was banned from Asheville’s public library for more than seven years. 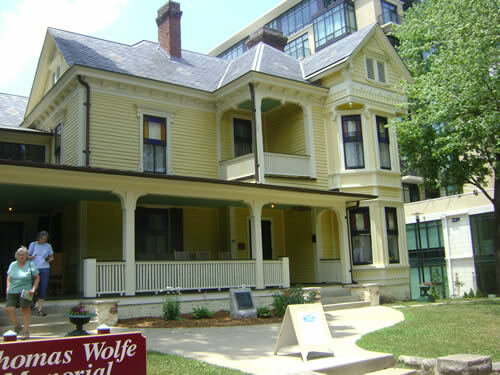 Today Wolfe is celebrated as one of Asheville’s most famous citizens, and his boyhood home has become a part of the nation’s literary history. 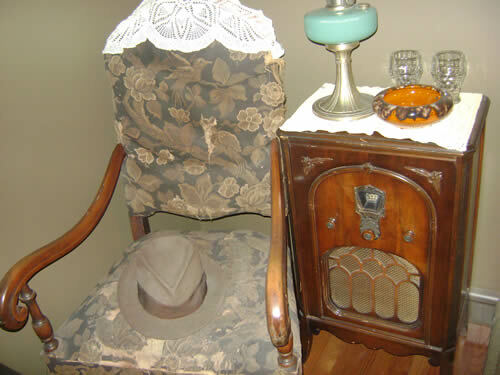 The many exhibits at the visitor center included Wolfe’s hat and Majestic Cabinet Radio (shown below), the folding sofa bed on which slept Julia Wolfe slept while visiting Wolfe in New York City, a ceiling medallion cast by W. O. Wolfe (Wolfe’s father owned a tombstone shop)—even artifacts obtained on excavating the large house’s cistern. Also on display are items that Fred Wolfe recovered from the Chelsea Hotel at Wolfe’s death in 1938. 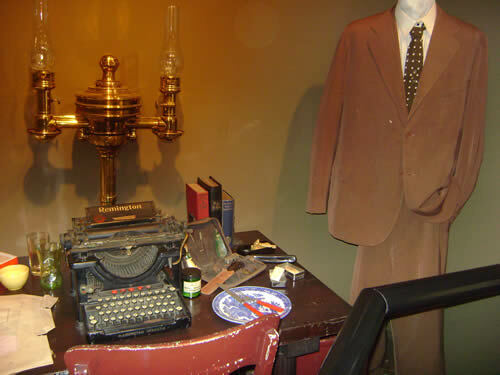 These include Wolfe’s suit and the typewriter used by his typist as they worked on The Web and the Rock and You Can’t Go Home Again. After our tour of the Wolfe home, we stopped briefly at the historic Riverside Cemetery, where Wolfe and his family are buried. William Sydney Porter, also known as O. Henry, is also buried there. On a separate literary note, it was also in Asheville that Zelda Fitzgerald (who once stayed at Julia Wolfe’s boardinghouse) perished in a fire at a mental hospital. Readers familiar with my novel know that its main character, Klaus Mueller, creates a fictional character named Jerry Schwartz. I knew that I could not have been the first to do this, but I was not aware of any specific instances in which it had been done. Fortunately, Sarah Crown has come to the rescue, and while I don’t agree with her use of “auto-fiction” to describe the literary device itself, I applaud her efforts. That’s an impressive bunch by anyone’s standards, and I didn’t even include those who only wrote poetry (Robert Frost would have been included here, for instance).